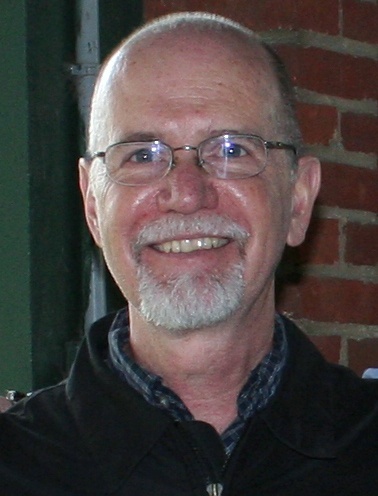 Dave Moss joined the faculty of Pennsylvania School of the Arts during the second year of the college’s operation in 1983. 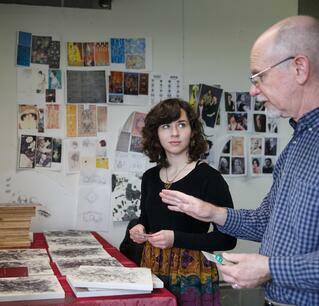 His dedication has spanned 33 years at PSA, PSAD (Pennsylvania School of Art and Design), and PCAD. Moss said this point in his career is “Immensely strange and wonderful. I came into teaching because I wanted to continue to learn.” Following his retirement, Moss and his family will relocate to New Mexico where he will focus on his own art. Moss’s knowledge of craft includes painting, three-dimensional forms, and digital pattern or texture work. He has taught in the Foundation, Fine Art, and the Interior and Environmental Design Departments throughout the college’s history. Moss introduced digital motion art into the Foundation department and served as Chair of the Fine Art Department for many years and participated in many committees at PCA&D. In addition to his teaching, Moss was instrumental in the school’s early growth and contributed to the many self-assessments that led to PCA&D’s being conferred a BFA (in 1999) and accreditation by Middle States and NASAD. Moss holds a MFA in painting from Syracuse University. In addition, he holds a Diploma in Fine Art from the York Academy of Arts and a bachelor’s degree from Millersville University of Pennsylvania in Liberal Arts studies. Moss had also worked in design at Armstrong World Industries.